With numerous displays and innovations at the trade fair, the show will also organise many interesting sessions for the manufacturing industry including the Purmundus challenge, Start-up challenge, Pitchnext, and many more. Welcome! 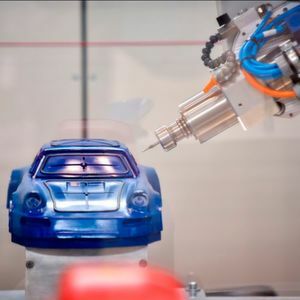 Formnext – the International exhibition and conference for the next generation of manufacturing technologies will throw open its gates for industry players from November 13, 2018. The four day event is scheduled to be held at Frankfurt in Germany. With a special focus on additive manufacturing (AM) the trade fair offers multiple hotspots where industry stalwarts as well as young players can explore and learn about the dynamics of contemporary manufacturing technologies. Hosted for the sixth time in a row, this international design competition is inviting designers, engineers, as well as programmers to come up with innovative ideas in product design. Under the theme ‘Preparing for the Future with 3D Printing’ participants are required to address the challenges of today’s manufacturing industry and find effective solutions via additive manufacturing/3D printing. The leading panel of jury members will score the designs based on various parameters such as design, innovativeness, sustainability, utility, aesthetics, and cost-effectiveness. The deadline for submitting the entries is September 23, 2018 and the winners of this competition will be awarded at a special ceremony on November 15, 2018 at the venue. One of the highlights at the show is the ‘Start-Up’ challenge. Under this competition, five young 3D printing companies are selected from numerous entries across the globe. The winners are then given an opportunity to occupy a booth free of cost at the dedicated ‘Start-up Area’ to showcase their innovative solutions live at Formnext 2018. 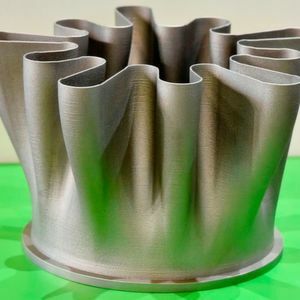 This year’s winners have already been selected and comprise of Germany’s AMendate for developing software for fully automated optimisation of technical components for additive manufacturing, Belgium-based Aerosint’s selective powder deposition system to enable multi-material part production, the German firm Kumovis’ printer that incorporates a system for producing plastic implants using additive manufacturing methods, Canada’s Nanogrande for presenting the first molecular-scale additive manufacturing system, and US-based 3D Fortify for introducing the world’s first Digital Composites Manufacturing (DCM) Platform to produce composite materials using additive manufacturing. One of the main attractions for youngsters in their field as well as for experienced players is Formnext’s Career Day. On November 15, 2018, the venue will be hosting an exclusive AM4U Area in Hall 3.0 wherein visitors can look at potential job prospects in the additive manufacturing market. Here, recruiting experts will also be giving a personal one-on-one career consulting service in order to assist industry players. Post this interaction one can also view the current job openings displayed by exhibitors on the job wall and go ahead to meet the specific company. Exhibitors will also present specific career opportunities at their companies, in addition to this, institutes and recruitment agencies will also present their respective advanced training courses and services to the visitors at the show. To be held on November 13, 2018 in the AM4U Area, the Pitchnext session is all about 20 young companies showcasing their next-gen skills and innovative ideas in short pitches. This segment will prove to be the ideal platform for players looking at investing in future business opportunities, partnership deals, building their contact database and staying updated on the latest industry happenings. This is an interesting session in which exhibitors and visitors can network with each other and generate potential leads for their respective businesses. Expected to be held on November 14, 2018 in Room Entente, Hall 4.C, the programme enables industry players to hold meetings with their desired companies or research institutes in an organised manner. Participants can avail this free of charge service here. Apart from these interesting sessions, Formnext will also hold other segments such as a 3D seminar called ‘Discover 3D Printing’, a User Case Area, an Additive Manufacturing Standards Forum, and a BE-AM Built Environment AM session. For more news visit our facebook page or twitter. Event preview JIMTOF 2018: Let the show begin! Event preview AMB 2018 is now bigger and better! 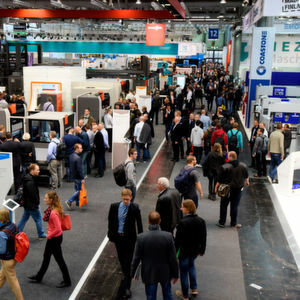 Event report Hannover Messe 2018: A grand success!